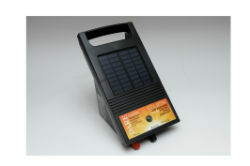 Ideal for use in remote areas. Self-contained battery recommended for single-wire clean fence. Good output and convenient. Ultra Low Impedance. Controls up to 3 acres of clean fence. Outperforms competitor energizers rated at 3 Miles.